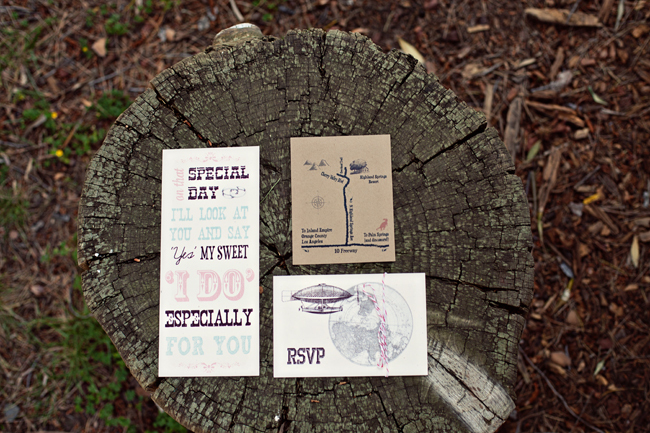 We are so excited for today’s adorable and whimsical DIY wedding at Highland Springs Resort! 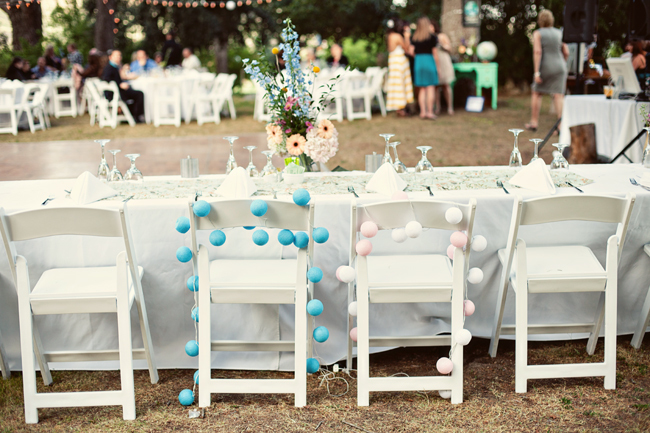 Ashley and Justin planned a super fun DIY affair with help from their family and friends. 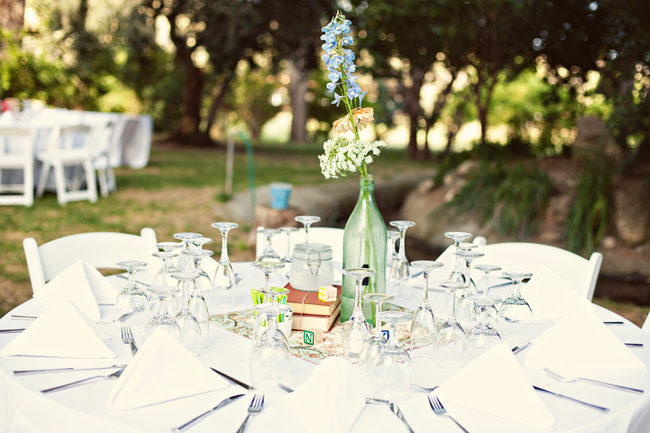 Their day turned out amazing, and Ashley Rose did a fabulous job capturing it all! 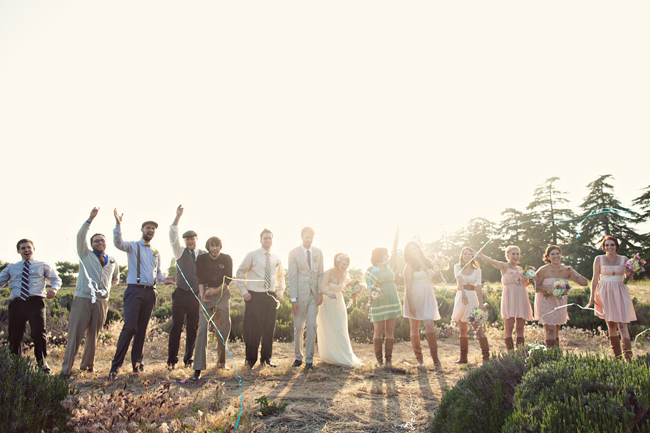 We have to admit, we’re a little jealous of everyone who got to attend this wedding because it looks like it was a blast, and all the details are totally up our alley! 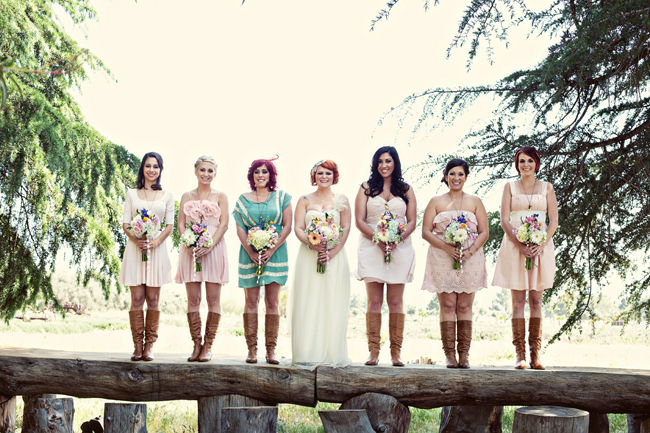 We seriously adore Ashley’s shoes, and the bridesmaids in boots! 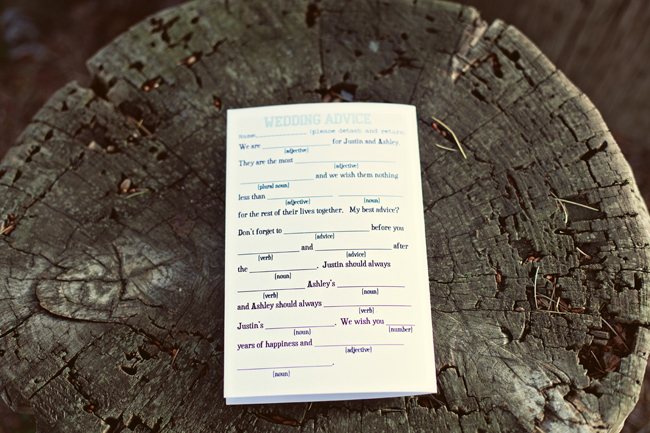 Their programs had fun activities for the guests to do while waiting, like a word search and a fill-in-the-blank page! 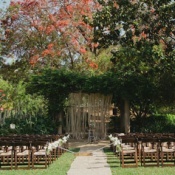 The ceremony backdrop is so awesome, and totally DIY-able! 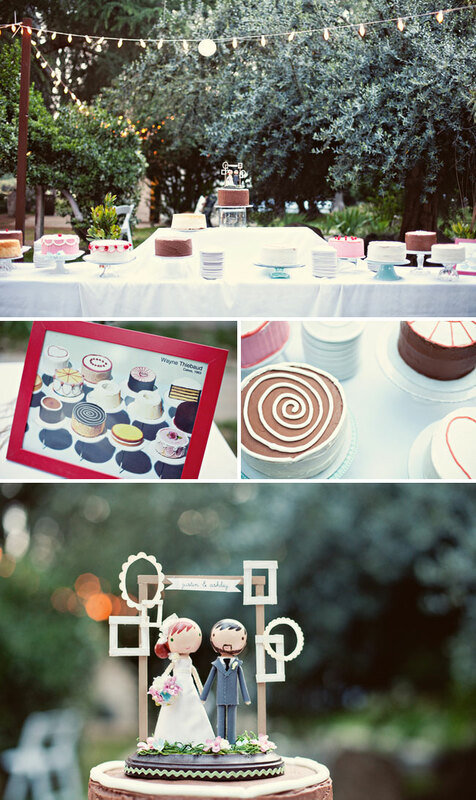 We love the Thiebaud inspired cake spread, and the adorable cake topper! 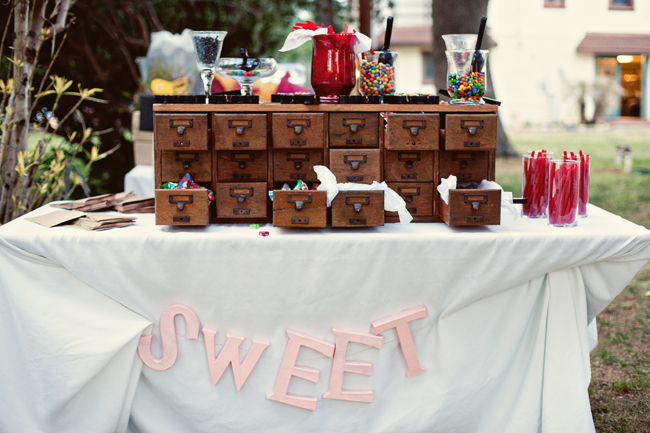 These vintage drawers were filled with candy–such a cute way to display the sweets! 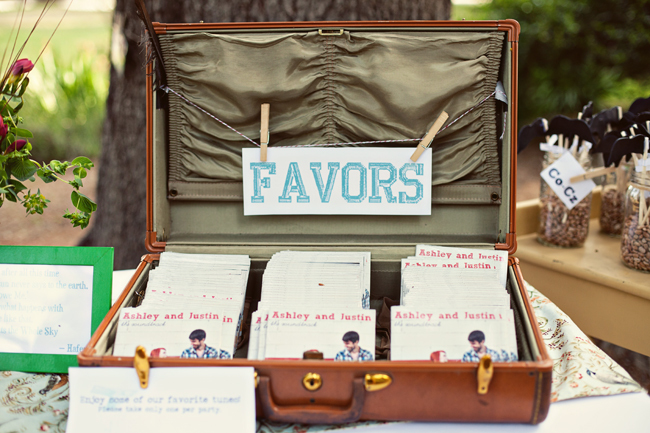 For favors, Ashley and Justin gave out CDs with their favorite party tunes. Congratulations Ashley and Justin! You two are such an adorable couple. 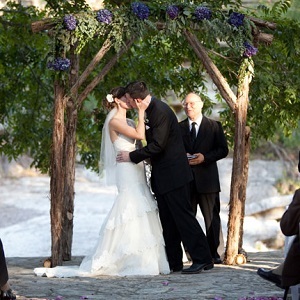 Want more inspiration for your wedding at Highland Springs Resort? 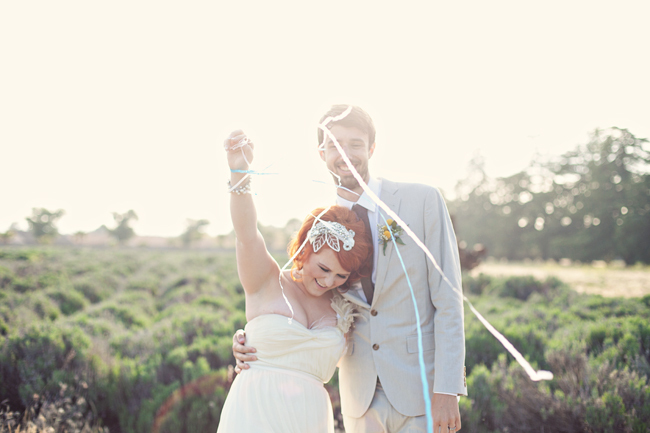 How about a romantic wedding feature or one with some of the best lavender field photos on L&L. 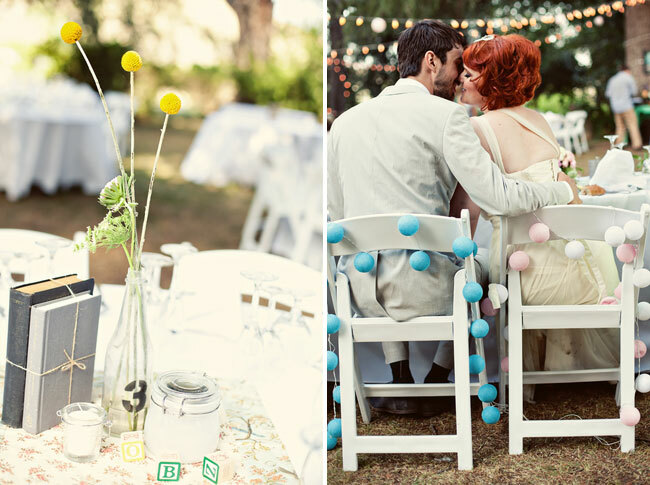 If you can’t get enough of this sweet wedding, be sure to check out the features on Forget Me Knot Weddings and on Ashley Rose’s blog. 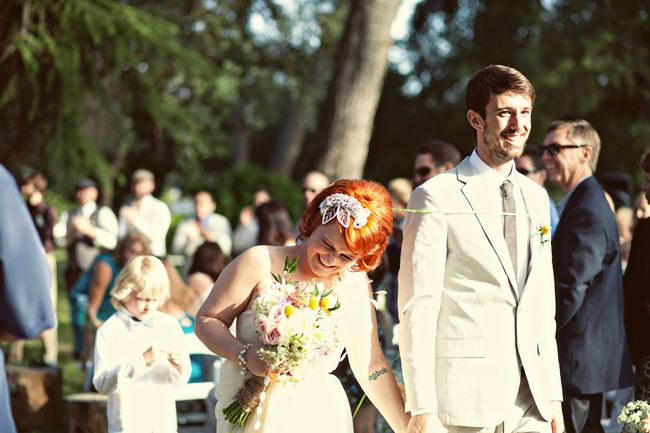 That is possitively the cutest wedding I’ve ever seen, hands down. 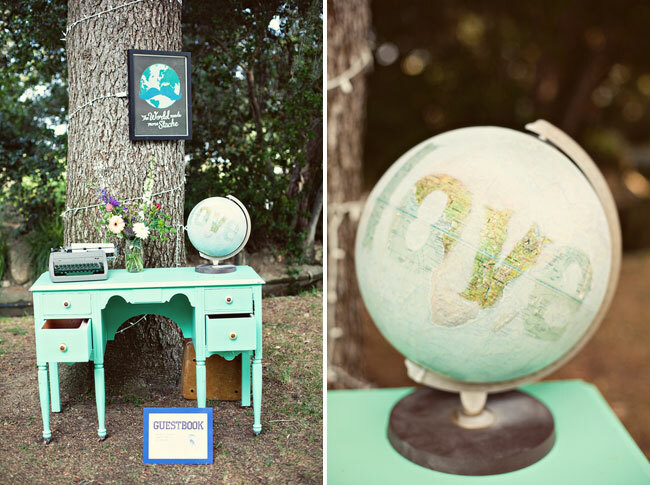 I loved the aqua desk, candy filing cabinet, suitcases, desert table, cake top…..we’ll you get it. I LOVED IT ALL! Congratulations to the couple. 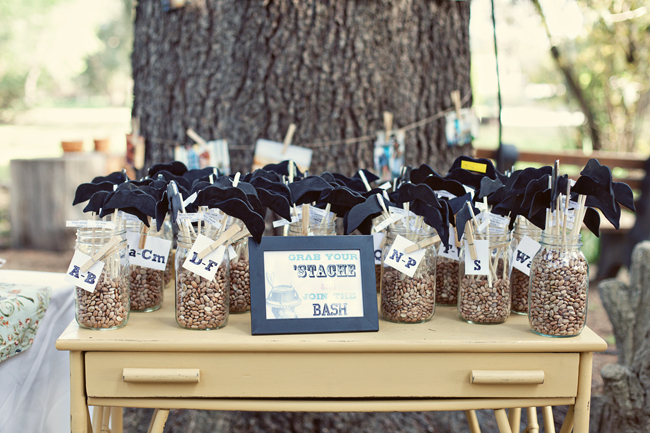 this has to be the cutest wedding i have ever seen. I am in LOVE with the vintage drawers filled with candy and that cake topper! 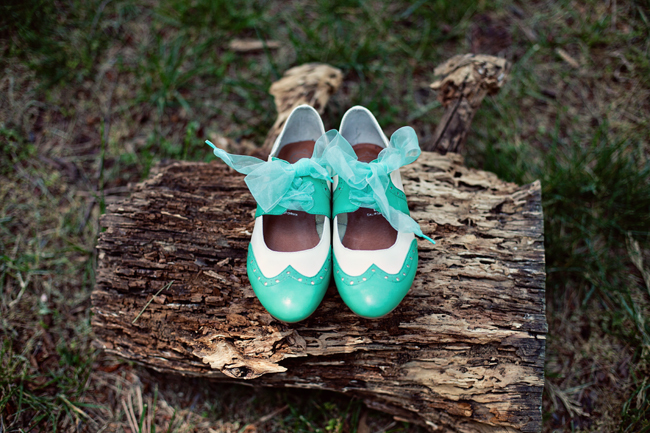 the shoes are from bhldn (anthropologie line). ohmygosh, i love it all, especially the shoes! i NEED to know where she got them, i can only find them in pink and beige! I can’t get over the endless supply of gorgeous details! Absolutely stunning! Every time I see this wedding, I fall in love again. It’s perfection!!! The bride’s hair is fantastic and totally striking. 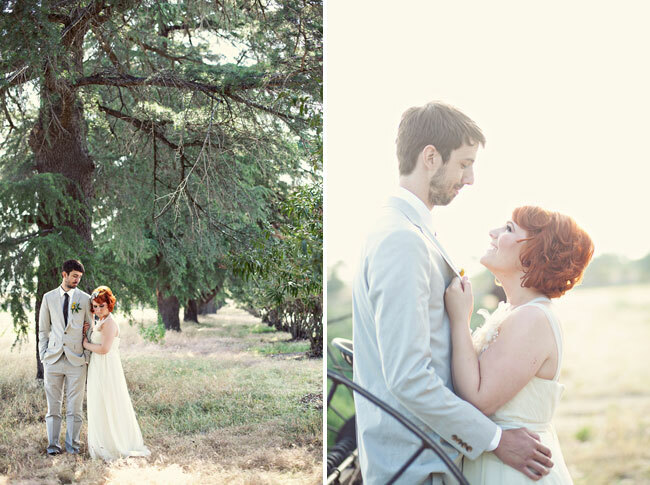 They look like such a fun couple and their wedding details are awesome! 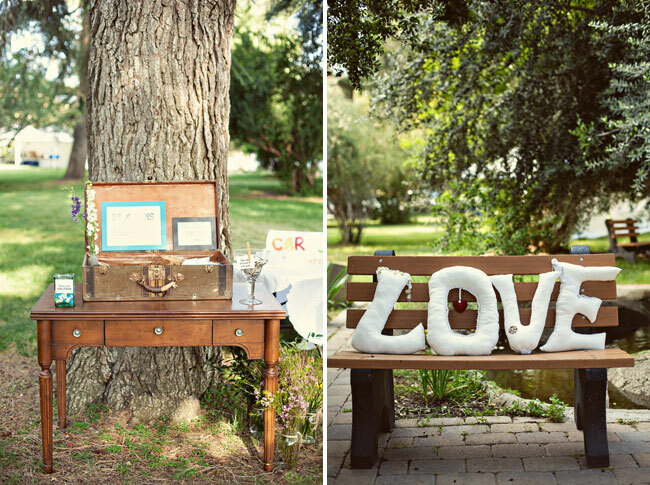 The vintage portmanteau captured my heart and bench shots are always welcome. gosh! 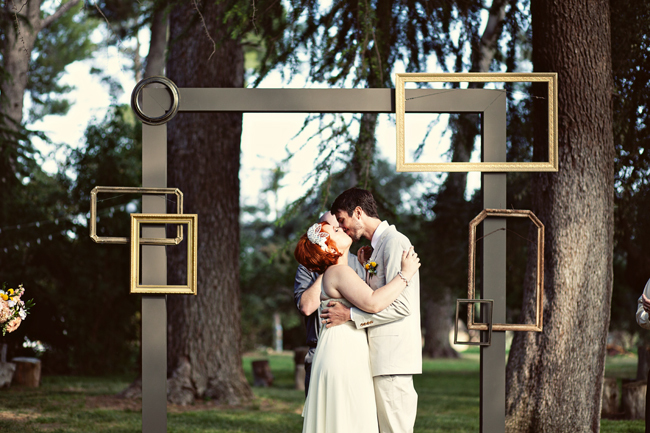 i love everything single thing about this wedding. Love this! I especially love the Bride laughing coming down the aisle!